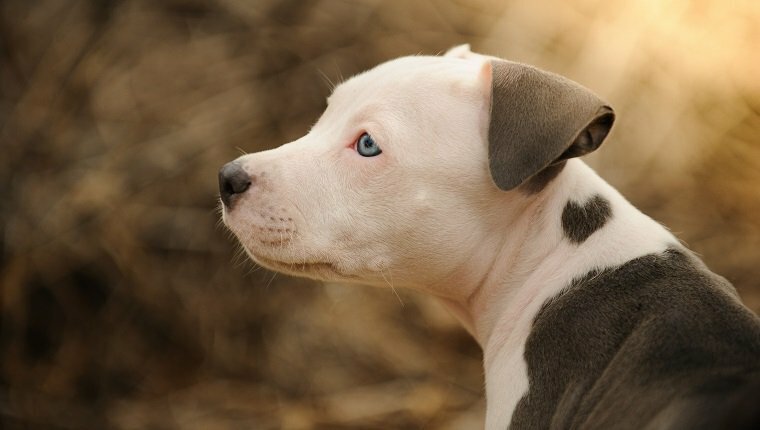 When someone refers to a “Pit Bull puppy,” you can probably picture a certain kind of dog in your head, but you might be interested to know that there is no such breed as “Pit Bull.” The term Pit Bull actually refers to a few different breeds, including the American Staffordshire Terrier, the American Bully, and the Staffordshire Bull Terrier, though the one people think of most when they hear of a Pit Bull is the American Pit Bull Terrier, and that’s the breed we’re going to talk about. Do you think an American Pit Bull Terrier is right for you? 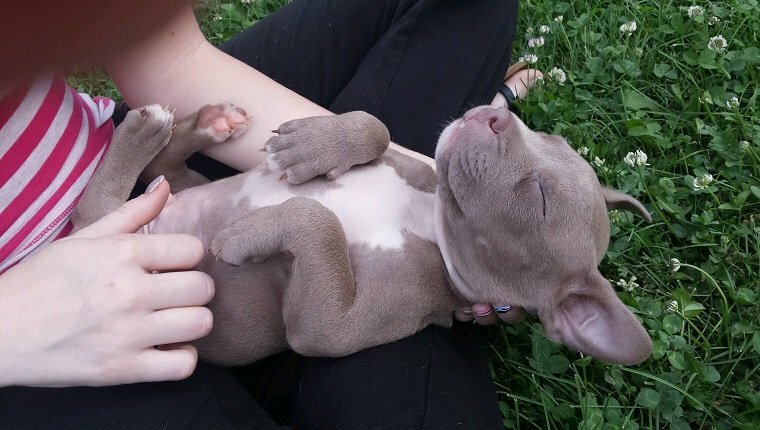 Here’s what you should know Pit Bull puppies. There’s a reason Pit Bulls are referred to as “nanny dogs.” That’s because they are so loving and gentle around children. 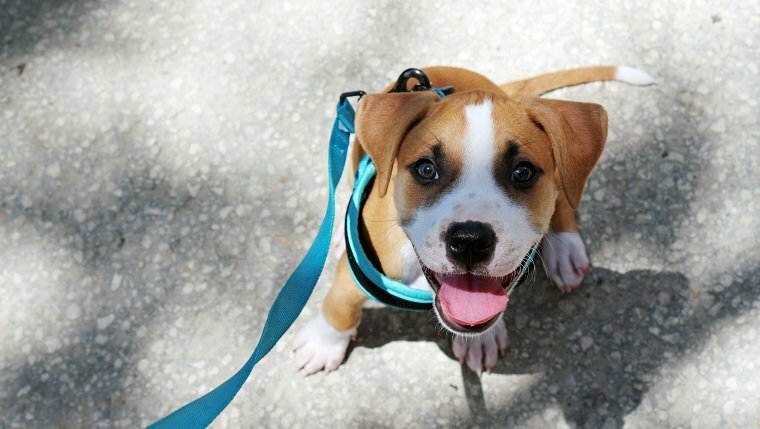 A Pit Bull puppy that’s well socialized will absolutely love the whole family, including kids. They are devoted and loyal, and while they’re usually trusting of strangers and make poor guard dogs, they will defend their families if they sense danger. 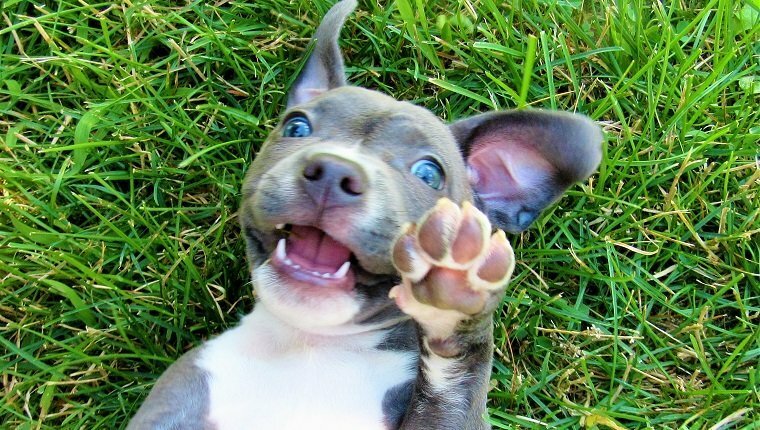 Pit Bull puppies love to play, and they love to chew. This breed is not for owners who can’t spend a lot of time with them, as they have a lot of energy and can get destructive if they aren’t physically and mentally stimulated. Chew toys are a must, and they should be strong chew toys, as Pit Bull puppies have strong jaws. Find some durable toys that won’t fall apart and get swallowed. Bull-baiting was a cruel sport that involved putting dogs in a fighting ring with a bull, and it was outlawed in 1835. The Pit Bull was bred for this purpose. However, the aggressive tendencies of the breed have since been almost completely bred out in modern times. Even the Pit Bulls of old were extremely reluctant to bite humans, as their owners wanted a dog that wouldn’t bite when they reached their hands into the ring to drag the dogs away. Now, Pit Bull puppies are not aggressive unless they are taught to be, especially not towards humans. Pit Bull puppies tend to be stubborn and bossy, but they are very smart and highly trainable. Their brains soak up tricks like a sponge, but they need discipline and consistency. They should also meet plenty of other dogs early in life to socialize and prevent aggression. Pit Bulls are sweet and loving dogs when properly trained, but they are still often banned by Breed Specific Legislation and portrayed as vicious in the media. Rottweilers, Doberman Pinschers, and other breeds have all been similarly discriminated against at one time or another. Studies have shown that Pit Bulls in general have a more pleasant temperament than several other breeds, but some cruel people use them in dog fighting rings, giving them a worse reputation. 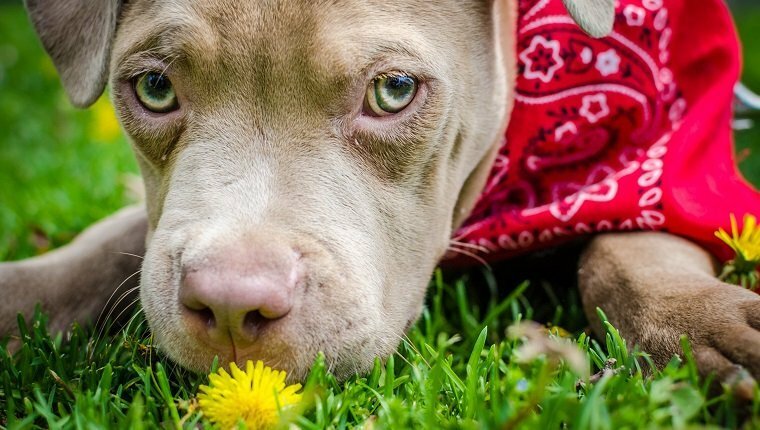 If you plan on getting a Pit Bull puppy, make sure your area doesn’t have Breed Specific Legislation, or the authorities can seize your puppy. If such laws do exist in your area, call your representatives and let them know that you would like these laws changed. Do you have a Pit Bull puppy? Are you planning to adopt one? Let us know in the comments below!